Have you ever wondered how popular bloggers get 100s of comments every time they publish a post? Here’s how to replicate it for your own site, from someone who has done it. …how she gets people to come & comment on her blog (and literally contest to be the first one to comment), how it has helped her boost her blog’s traffic, social shares & authority and how you can do the same on your blog, easily. Harleena Singh is a kind friend for half of the blogosphere while the other half calls her Harleena ma’am with due respect. She has touched millions if not billions of lives with her motivational blog posts and posts on family welfare at her blog multiple times award-winning blog Aha!NOW. Her blog posts help one and all to discover happiness. Her blog has been names numerous times in the “top 100 blogs” in the motivational & life categories. Beside this, there is one more feather to her hat, she is popularly called the Blog Commenting Queen, for she is omnipresent in almost every blog whether new or old, lonely or popular and tech or motivational. Her two cents are what every blogger waits to have on their comments section. I wanted to make sure that DigitalGYD readers get her insights on blog commenting and how to build your own blogging community. But… why should you listen to me? 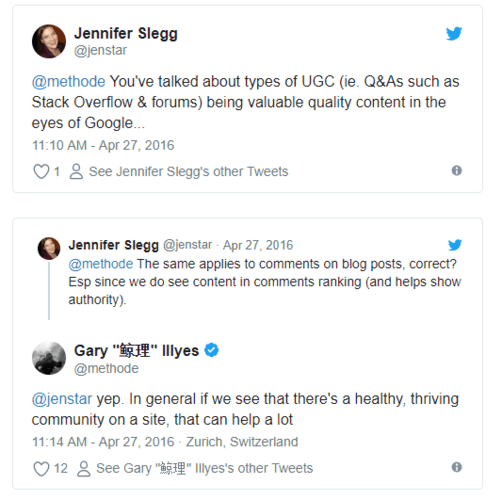 Blog comments or user generated content [UGC] add LSI keywords, add freshness factor & related content or contextual depth to your blog posts and thus increase your Google rankings . Get more featured snippets (Google loves to pull up helpful content in comments and even place them as featured snippets!). Please note: This is not so common and occurs once in a while! Blog comments increase dwell time or time on site which is again a ranking signal. A thriving community shows how popular a blog is and increases your blog’s credibility in front of new visitors. Now that you know why you should be focusing on building a blog community, let’s head over to what tips Harleena ma’am has to offer. 1) As we all know, you are a wonderful writer. Was it because you had a family connection with writing like your sister who is a writer? Or you had writing as your inner passion from a very young age? Thanks so much Swadhin for having me over, and the kind words of appreciation. It’s wonderful to be here. I’d say writing runs in the family and as kids, my sister and I inherited the writing genes from our mother, who had a flair for writing. My sister, who was a freelance writer and now an author, guided me further. Now, even my Dad writes, though mainly for papers and journals. In fact, as I used to teach English earlier, it was my father who suggested that I should start writing, and since then there’s been no looking back. 2) You had a very successful freelance writing career, how did you come up with Aha!NOW. What were your immediate goals then? Yes, I was doing very well as a freelance writer, and I started Aha!NOW initially to create a portfolio of my writings. However, things went much beyond that, and with time I became more of a blogger than a freelance writer. If I hadn’t started freelance writing, I wouldn’t have started a blog either. So, I should be grateful to the circumstances that pushed me into freelance writing. I believe that everything happens for a reason and for your good! My goal to start Aha!NOW has always been to help people from all walks of life, and I am glad I’m able to accomplish it. 3) Seeing a full fledged Blog with a great dedicated community, how do you see your goals have shaped into? The blog community developed over time – it was never my goal to consciously develop it. In fact, initially I had no blogging goal (which is not good). However, as blogging became my prime focus and as I realized the importance of a blog community, I decided to build my blog as a platform for fellow bloggers and to develop ways to empower the community. I now have much clearer blogging goals and I’m ready to take advantage of all the benefits of blogging including full-time income source, a community that looks up to you amongst others. 4) You are popularly and rightfully called the “blog commenting queen” whom every blogger wishes to have in her/his reader response section. How does this feel? It feels wonderful to gain this tag or name as you call it, though it’s happened very naturally, and I need to thank all the bloggers for this honor. I guess when you comment from your heart and it’s a meaningful comment that adds value, people tend to notice and appreciate it. 5) How difficult or easy has it been commenting on numerous blogs, regularly and genuinely? Fun Fact: The average length of Harleena ma’am’s comment is 50+ words and occasionally goes beyond 75-100 when she connects with any particular article she reads. Let me tell you – it is not easy! More so, as the number of blog visits increase, so do the number of comments. If you are regular and genuine commenter like me, it does take a while. PRO TIP: If you’re struggling with blog comments, Neil Patel reveals 3 of his best-kept secret strategies he uses to get over 100+ comments on his blog for every single post. Watch it below! I feel, when you comment, you should express your true feelings about the post, without mincing words. Also, you should be more expressive when you reply to your own blog comments because your readers take out their precious time to go through your post, and leave a comment – so, the least you can do is reply from your heart. It’s the only way to express gratitude towards them. 6) How has blog commenting helped you and what are your best blog commenting tips for newbies? Blog comments are the lifeline of any blog, and I would suggest every blogger to enable comments, in case some of them don’t or have doubts. They have helped me build relationships with my fellow bloggers, and many of them have now become good blogging friends. I look forward to receiving comments on my blog, just as every blogger does. My advice would be to always give a personal touch to your comments, just as if you are having a conversation with the blogger. Through comments you can develop a relationship with your readers, and over time they develop the trust in you. 7) Your freelance career paved the path to your successful blogging as it gave you the opportunity to write Search engine optimized posts. What do you think which is better when it comes to career? Yes, I started my blog to showcase my writing, which led to gaining more popularity as a blogger. All of this was thanks to my freelance writing I’d say. As a career, it’s not easy to manage both blogging and freelance writing consistently as you have to – write for clients and your own blog. That’s because blogging is a lot tougher as compared to freelance writing. On the other hand, you are not known as a writer, unless you are an excellent one, and it takes time to become one. But, when you learn blogging and become a successful blogger, you gain fame and name both, though making money from your blog, again takes time, till you learn about it and know when to monetize your blog. So, it’s all about the choices you have to make at the end of the day. SPECIAL OFFER: I have arranged for a FLAT 20% OFF of Elegant Themes Package which is the highest you can ever get! So GRAB YOUR DEAL or click the image below to claim your Elegant Themes Discount Coupon. 8) You have an awesome & thriving blog community. Your readers compete to have their comment (even I do) on the first place after the very moment your post is live. What your your best tips to build a thriving blog community? I am grateful to my readers and commenters who love the posts shared on Aha!NOW. I think they love to express their views and I love replying to them, which makes it an interactive community. I don’t think there is any doubt that building relationships and practicing reciprocation is the base of building a responsive community. I believe in the Law of Karma and the saying that you reap what you sow, or do onto others what you wish them do to you. This isn’t anything like the comments for comments system but it is like commenting on someone’s blog because you genuinely want to add to what is being said there, and not because you want to get comments in return for your comment. So, if you impart quality in your blogging efforts including content wiring, commenting, and social promotion, you get the same back – sooner or later. Even if you don’t, you are clear and happy at the end of the day for playing your part and scoring on your Karma points! Now, since all the old and new bloggers come to the posts to comment, it becomes an attractive place for other bloggers to join the party. And obviously, the higher your comment is placed, the more chances are that other commenters will read your comment and also follow your link to visit your site too. Comments are good to create engagement on your blog. Engagement is definitely a factor that affects your ranking. If you talk of Alexa rank, you will greatly benefit if you have a highly engaging site. Engagement or a large number of comments also creates a good impression on the minds of the visitors and increases the probability of their becoming return visitors, or read more posts on the blog. This in a way helps reduce the bounce rate and increase the frequency of return visits, which impresses Google and satisfies Alexa too. My highest source of referral traffic among social media is Pinterest and among sites it is “StartofHappiness”, which bestowed upon me the “top personal development blog” award, as mentioned in the “About Me” page on my blog. Perhaps I interact and help new bloggers each time someone asks me something, either through the emails, tags, or notifications. While the experts take me to be part of them because of the number of years I’ve been blogging now, so they feel my knowledge and experience is valuable. Thus, I guess the lesson is to be helpful to fellow bloggers and be passionate about blogging. 11) You are a mother, a daughter-in-law and a lover of cooking. How difficult or easy it is to manage time, keeping track on so many blogs and sharing each members’ post on social media? I’ve led a hectic life, being busy with my projects – just like one works for a private company, working round the clock! Yes, I take care of my home and family, and I’m glad my husband is there with me, who shares the responsibilities also. Overall, life is busy and it’s challenging to manage both the blogs and home. But I guess I wouldn’t have it any other way. You know I love to share the posts of my blogging friend’s and the ABC members as well. It takes a while, but it’s the best way to give back and help them. Isn’t that what blogging is all about? I’d say that time management is very important here, besides having a passion and discipline in life. I usually break my day into different time slots and prepare a schedule by fitting in it my routine tasks. This way you get an idea of the time spent to complete the tasks, and the time you need for yourself and your family. 12) How does social media help you in getting blog comments? Honestly speaking, I’ve never thought about conversion, nor have I thought about the best social media and then joined it. I just started with the main two initially, Facebook and Twitter, and later LinkedIn, followed by Google Plus. Pinterest came in after that, once I heard of this new social media platform, and then Triberr. I kept joining them one by one. But the key is to be consistent on all of them and slowly you see the fans and followers adding up or converting, as you mentioned. You really don’t have to do anything – just take it slow and be natural, that’s how I’ve done it. I know it’s tough to be all over, but if you can devote even a few minutes daily, you are good to go. Having said that, I don’t think I can handle any more social sites now! 13) Please share your tools of trade. If by tools of trade you mean the products and services that I use on my blog and in blogging, they are Premium StudioPress Themes and Themeforest. Editors Note: Check out our list of blogging tools we use to power DigitalGYD blog. Other than these I use many of the free WordPress plugins like WP SEO, Wordfence, etc. I do not use any SEO plugin or applications but I might try them later. Also, I do not use any tools to build inbound links. 14) You have been getting constant support from your husband Vinay sir. How does he help to reduce your work at the backend so that you focus only on your area of expertise i.e., writing. My husband, Vinay, has always been my pillar of strength and the major reason to push me to start my new blog HarleenaSingh.com now. I don’t think I’d have started it so soon, though it was in the pipeline for long. He has always been working behind the scenes of Aha!NOW and is responsible for speeding up the blog, setting up all the features, plugins, and other technical aspects of both the blogs. I’d be totally lost without his help in this regard! Recently, he’s even started his blog services page, which we are building slowly now. 15) You have recently launched an awesome ABC i.e., Aha-Now Blog Community . Congratulations on that. Tell us how has been the experience so far. Thank you for saying that, Swadhin, and so glad that you are part of it too. The ABC has turned out to be a unique aspect of Aha!NOW, and it has helped structure an activity and forum based blog community. It is a perfect blend of bloggers and non-bloggers, who visit the blog for a common purpose – to help themselves and others. The ABC is exceptional – as the members love to share their blog posts, experiences, teach, learn, and discuss things to make their lives better. 16) Your honest reviews on my blog DigitalGYD.Com. Please elaborate what changes or improvement you would like to see both as a reader and a mentor. Your blog has come up in such a good way, Swadhin, as I’ve been observing it from the very beginning. The credit for DigitalGYD doing so well solely goes to your hard work and efforts. Edtor’s Note: DigitalGYD.com now is a full-fledged professional blog and with the grace of God (and the love of our readers) we now have almost every possible tools and fully functional set p to run our blogging business. 17) Our readers would like to follow you. Please share your social links. Thank you Harleena maa’am for sharing so much with us. It has been a inspirational journey with you in blogosphere. I am sure my readers got to know more of you and moreover learned from you. I recommend joining the FREE bloggers’ community where you get to learn a LOT from fellow bloggers, show your skills an expertise by helping others and also promote your blog posts for that extra targeted visibility. What are your key takeaways from this interview with Harleena Singh? What are your tips to build a blog community with blog comments? If you liked this article, please consider sharing it on your favorite social media platform. It will make my day! ~ Thank you. Hi, I'm Swadhin Agrawal, founder & MD of Value Intent Media Pvt. Ltd. With DigitalGYD.com we aim at helping bloggers start, grow and scale their blogs to profitable businesses. You are my inspiration and I am sure many people around the world look up to you. When I started my blog, my friend told me about your work and ever since I have followed you. This is among the best interview I have read. A video version of this would have gone viral on the social media. Anyways I just want to congratulate you on all the successful years of AhaNow. Keep motivating and keep inspiring. Thank you for your kind words, but this title tag is given by my blogging friend’s, and all I can say is a huge thank you to each one of them. Oh yes…that’s exactly how I started working online, and it certainly wasn’t easy as one came from an offline background of working at a full time job. It took time, but gradually as one learns, one keeps progressing. Wonderful to connect with another freelance writer! Yes, always lots to learn from bloggers and writers I’d say, though balancing the two takes time, isn’t it? I’ve now become more of a blogger as I start with my new blog, but I haven’t forgotten my roots and might come up with a project for writer’s too, so stay tuned. Glad you like the blog and the ABC, which surely is a wonderful community for bloggers and non-bloggers alike. What a great site. I saw your comment over on my blog and decided to see this interview with Harleena. I don’t know much about her except I see her comments everywhere and have read a few blog posts over on her blog, Aha Now!. Harleena, I never knew you started out as a freelance writer! I recently started freelance writing and am learning a lot from both writers and bloggers. That’s great you started as a writer and turned into a huge blogger! Great Interview of a great personality. Harleena madam is very-very busy due to her work as she reads and write comments on multiple blogs. Good to know that how you came into blogging while you were working as freelance writer. I’m glad I took this little break to work on my new blog, or else my blog visits and comments take a major part of my time. Yes indeed, it’s all been a learning curve for me I’d say – right from the time I started freelancing and later blogging. I guess there’s lot more in store because learning and evolving never really stops. Thank you for your kind words. But you know you all inspire me to keep going as well. I can understand the time constraints we all tend to have, and I marvel at those bloggers who study and work alongside. Makes me wonder how they manage to accomplish so much. I wish you the best in your future endeavors too, and if there is anything I can help you with, just let me know. Yes indeed, after his retirement, my Dad’s taken up to writing, though reduced it and writes occasionally for newspapers and journals. It keeps him busy, alongside his golf, which he never misses! Kind of runs in the family…lol.. I agree with you there, we learn so much when we read interviews that are not just based on professional aspects, and have a little personal touch to it too. We’ve started work on the new blog, but it’s going to take a while before we really start with it. There is so much more to catch up with alongside, like this interview that was pending for SO long. Kind of Swadhin to be so patient all this while, as I just found time now. I have had the pleasure of meeting and getting familiar with Harleena Singh’s work maybe a little over a year now, but her work and personal contact has remained and I marvel at her capacity to do so much in a day-everyday. It has not been possible for me to keep up with her at Aha!Now as I made a mistake and subscribed from my Yahoo mail address. However, I am in daily touch with her on Google plus and less regularly on Twitter and am positively thrilled by her taste in photos and quotes. They form an important part of my daily inspiration. She has inspired and moved me too. Last July, I made a commitment to write a Christian inspirational message along with a photo, a Bible verse or two using Whatsapp among a group of close friends and my three children. This group will have achieved a daily appreciation and daily contributions from friends and will be a year old on the 15th of July 2015. Many prayers have been added and answered. Something good has been achieved. In fact about a month ago. I started adding the same post to Google plus collections and that has built up a tiny following too. All this has been inspired by watching and walking with Harleena day after pleasant day. I just cannot say enough to express my thanks at getting to know someone so completely sound in mind and character. Though we may not share the same creed, we do share lots of similar thoughts and she always has a kind word of appreciation for every comment or remark. I wish her all the very best in her new venture- Harleenasingh.com and I am subscribed. I may or may not be able to become a full time blogger again as I was much younger in 2006 which was the last time my blogging was regular, but one of one thing I am sure; I will be watching and enjoying the posts of Harleena, her admirable husband Vinay and super wonderful team on Aha!Now, and at her new web site for a long time. As long as it is possible for me to do so. You have added a little more light to my life. That is a great gift. Yes, we’ve known each other for a while now, and I think it was through my blog at first, and lately more of it via G+. Don’t worry, you can always subscribe to Aha!NOW again, or if you let me know I can remove the Yahoo email ID, and you can use another one instead. So glad you liked what all I share on G+. I do love starting my day with inspiring and positive thoughts, and that’s exactly what I share with everyone around me. They say you rise by lifting others, and even if you don’t, you know you’re trying to lift someone else. So, the Karma is more important here than anything else, isn’t it? Many congratulations for your one year achievement as well on Whatsapp. I’d have loved to see it if I was on it too, but the blog and social media keep me so occupied, just don’t have time for it. Thank you so much for your kind words of appreciation, means a lot coming from you. And thanks again for subscribing to the new blog as well, though it will take a while as we juggle between various tasks to do it up gradually, so stay tuned! Thanks for the interview. I learned a lot of new things about harleena ma’am. And its lucky to have such supporting environment, like you have vinay sir. And I dont know that you have so many writer in your family and surely they may helped you a lot in getting yourself better. Thanks to swadhin for letting me know all these things through this interview. And you are so inspirational to beginners and as well as pro bloggers. And the great community you have created, it has got me some great friends like Swadhin, Sachin. Thanks for helping and inspiring us. Thanks swadhin for such a great interview. Iam extremely happy to have you in my community. Absolutely! We all need each other, and if we have people within the family and good friend’s, like our Ahaian’s too, we tend to cross the hurdles with ease. Well, as I mentioned in my reply to Lisa, we really didn’t think ourselves to be associated with writing earlier, and each one of us was in a different profession. But over time, I guess the writing skills showed up once we tried it out. Let me add here, that you become better only by practice. So, the more you blog and write, the better you become. I’m sure Swadhin would agree with me there, as I’ve seen him grow and reach to where he is today. Swadhin, what a great interview with Harleena. I never knew her husband worked on the technical side of her blog. I also did not know writing ran on her family. I’ve been following her blog for years and it’s come a long way. Thanks for sharing and haveca great day. Yes he does, I’d not be able to manage it myself, being a non-techie! First of all, I want to appreciate Swadhin for this kind and Informative interview with a famous Personality in the Blogosphere. You are doing a great job dear, Having Interviews with some motivating personalities like Harleena maam are a mean of motivation for the newbie’s in Blogosphere. Harleena Maam is a Motivating Personality and I am following her Since I stepped in Blogosphere. She has expressed some of the most effective tips and hacks to be a good and Successful bloggers. When we start blogging, It become our complete part of living. As it changes our Lifestyle and gives a boost to our knowledge, and by Hardwork and Passion to do something great along with a good patience we can succeed in the Blogging Journey. Blogging is not a Get Rich over Night scheme. It is like a complete journey you have to pass around to do something great. There is a lot to learn from each other I’d say, so it’s not just me – I think a lot of bloggers are going out of their way to help others, which includes you too, and that’s exactly how it should be. I hope to do a lot more through my new blog, which would be especially for bloggers, so stay tuned! Absolutely! Our whole life changes once we become professional bloggers, though we need to take care to lead a healthy lifestyle before we have health issues, which again IS a point bloggers need to note. There is no compromise to hard work, and if you put in your best efforts, there is no question that you won’t see the results, though it may take time. True – blogging is not ONLY about making money, nor is it a get rich magic formula that some newbies think it to be. All of that comes in, but remember Rome wasn’t built in a day, so be patient and enjoy the process. Great interview from tops bloggers. :) In this post I have learned much about you Harleena shariing your blog experience and your journey so far. I loved the questions and the answers exuded a level of confidence that is worthy of applause. Reading this, I am now seeing myself so far behind and with a lot of catching up to do in the blogging arena. :) Will surely bookmark this for future reference. Thanks for sharing with us. Oh yes…Swadhin asked such wonderful questions, thus the confident replies! So, the credit for this goes to him. Please don’t say that because I’ve seen you move from one step to the other – getting better by the day, and even though you are working alongside – you’re doing wonderfully for yourself. So, give yourself a pat on the back for your achievements. Thanks Swadhin for coming up a detailed interview with the commenting queen. I am glad to know so many new things about Harleena Ma’am. She is the one who gave me my blogging break in the form of my first guest post. By this guest post, I interacted with awesome people. After joining the ABC community, I came in contact with wonderful people. Swadhin, you are definitely one of them. Through this community, I understood the importance of relationships and engagement. I learned various skills of blogging by reading the various blog posts of fellow members. It feels great to know about you. Your journey from a freelance writer to a popular blogger is very inspiring. You are a motivation to all the new bloggers. I learn lot of things from you. Wishing you all the success with your new blog. You certainly deserved it as you’re such an active ‘Ahaian’, and you know we love encouraging new bloggers. Yes, we don’t leave any stone un-turned where promotion of the guest post is concerned too – just do it like ours, so the interactions and connections you made are the ones you keep forever, while you’re in the blogosphere. It all starts from a base, and goes on further, isn’t it? It gives me immense joy when we know that the ABC has helped bloggers in more ways than one. It’s true – the more the connections and relationships you make with other bloggers, the wider your reach, and I know you’re doing so well for yourself now, Yatin – keep going! After a long time reading this kind of inspiration thoroughly. No doubt Harleena is one of the most talented, caring, respected and beloved blogger, writer as well of a great person I have ever met. So glad to know about her family background (must say, she has got a whole family of writers), how she started and made through a freelance writer, and after that a blogger. What I have learned from my experience is that building a big community of people is never easy. When it is about a community of very active and devoting members, most people can only dream of it. But Harleena has beautifully made it and if anyone asks me where to learn building blog community, I will immediately say learn from Harleena. Thanks for conducting a wonderful interview. Have a nice day ahead! That’s true! I guess writing runs in our blood, though blogging is altogether very different from writing, which I feel is much easier as compared. I agree with you – building a devoted community takes time, but once you put in your best, you also get the results sooner or later. In my case, I’d say it just happened very naturally over the years, with the wonderful relationships made with fellow bloggers. So, I am grateful for them for being part of my community. This is a wonderful interview and when it is Harleena Ma’am then how can I miss this opportunity. This is a fantastic interview and I guess this is going to help other writers or bloggers like me. I am still learning and I think I will be learning throughout my life and I love to learn when bloggers like you and Harleena Ma’am is giving online coaching to all. Once again thanks for sharing this wonderful conversation. Thank you for your kind words. You are right, learning never really ends. I learn a lot every single day and that’s what helps us grow and evolve, isn’t it? You’ve grabbed some good answers from an inspiring personality Swadhin, a grand applause from my side! Good to know about you, your blogging & writing journey, your family and yes, time management is very important for the woman bloggers as they need to take care of the family and have a lot of responsibilities as well. Hey, I was unaware that Vinay is your husband and great that he is the pillar of your strength. I know that you’re the busiest person in the blogosphere and am getting inspiration from you to blog with passion. Aha! Yet to involve me in your awesome community, will do it for sure! Thank you for your kind words, though I think should start writing smaller comments now because I’d have to start managing both the blogs very soon! So, don’t worry, even short and meaningful comments work very well – it’s the value that we need to add to our words, the quality matters more. Absolutely! Working women who have families to take care of, need to learn the time management skills or it can become very tough to handle their blog and other tasks. I know you too have a family, yet manage things so well – so hats off to every woman out there who is balancing her personal and professional life. Yes he is, and the reason I don’t have to worry about the tech stuff on my blogs! True, life can get very busy Nirmala, and with the limited time we all have in hand, we just have to make the best use of it. So glad if I can inspire you in some way, and you know the doors of the ABC are open for anyone, so come over whenever you find time. It’s indeed a pleasure to be here and share my blogging experiences and journey so far, that’s just being me I’d say. If my little write-up can help anyone, I’d only feel too happy. Also, I’d invite one and all to the launch of my new blog (coming soon! ), which is going to be exclusively on blogging – for bloggers, and a lot more. DigitalGYD is a multiple times award-winning blog that helps people start, grow & scale their blogs into money-making authority websites.